I am convinced that China will save opera, and will indeed save the entire classical music industry as a whole. As opera companies are closing in the West, China is developing an operatic tradition of its own – in Mandarin Chinese (no less!) Western-style operas in the Mandarin language are being composed and performed at an astonishingly fast pace. The National Center for Performing Arts in Beijing, which hosted its first ever western-style opera festival in 2009, has brought a modern edge to the city’s architecture through its egg-shaped design. Moreover, China boasts two other modern opera houses in Shanghai and Guangzhou, the latter whose opening in 2010 marked the end of a 202 million USD construction project. It was this belief that led me to dedicate an entire year of my undergraduate studies to taking Mandarin Chinese courses – day in and day out. I must admit, I was more than daunted when, during the first week of the semester, I was provided a list of Chinese characters as vocabulary words and a dialogue which I was to recite from memory in class the next day. It was then that I began kicking myself for my academic curiosity: by taking this course, surely I had shot my GPA – there was no way I could pull off an A, or a B for that matter. However, as time went on, I found that the language came naturally. I found that some of my favorite hours of the day were filled with Mandarin Chinese study – drawing the intricate characters over and over again; repeating the phrases until they felt natural. It was in this process of learning the language that I developed an interest in the country of China itself. There are so many misconceptions about China in the United States today. I do not claim to have the answers, but one thing that I do know about China is that it is much more complex and diverse than we, in the States, often give it credit for. From a personal perspective, I have noticed that among my mainland Chinese friends (which now number in the dozens), there is no one consensus. Indeed, each one of my friends has differing and unique views on the history and society of their country; about how China should develop in the future; and what are the greatest challenges currently facing China. However, we can see this diversity even in the geography of the country itself. Just slightly smaller than the United States, China spans from the snowy Himalayas to the dry Gobi Desert and the fertile Yellow River Valley. Ethnically speaking, “more than nine-tenths of the population consider themselves of the same Han ethnicity, but the remaining tenth is divided among fifty-five distinct ethnic groups,” (page 9) many which have their own languages. In my mind, it is extremely important to keep this extreme diversity in mind when discussing any aspect of China (government, economics, etc.) This opinion was reinforced by the second book I read about China, Understanding China: A Guide to China’s Economy, History, and Political Culture. Written by Yale professor John Bryan Starr, this book offers a broad, yet thorough, 400-page overview of the issues facing China today. “China is divided into thirty-three governments at the provincial level (thirty-four if one chooses, as does the government in Beijing, to regard Taiwan as a province), twenty-three of which are provinces: four city government (Beijing, Tianjin, Chongqing, and Shanghai); two special administrative regions (Hong Kong and Macao); and five autonomous regions.” (page 69) This diversity is very important because it provides us with the background and the understanding of some of the biggest issues discussed in the book – from the Taiwan question (which is indeed an international concern) to rural development and the potential for political instability. Although the book delves into many topics, I will focus on the ones that have its basis in the diversity of the country of China. 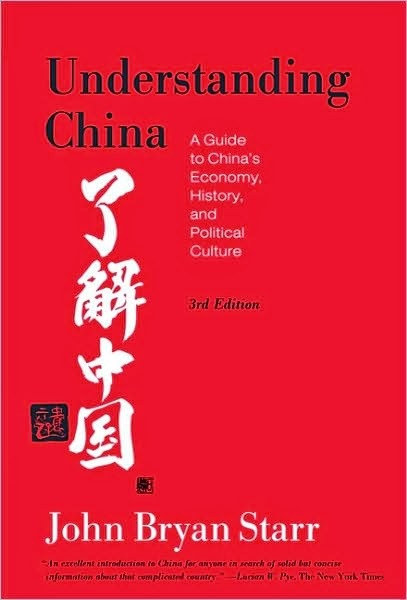 I would highly recommend this book to anyone wanting to develop a stronger understanding of the region – especially if he/she has been keeping up with the news coming out of China. This book puts these hot topics into perspective. 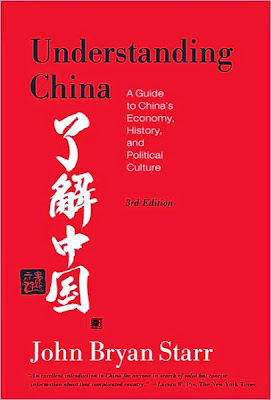 Despite having already read a great deal on the Chinese economy and culture, I found myself learning a lot from this book. I found one topic regarding the Chinese legal system of particular interest because I had never read anything about it before: “As is the case with law in China today, so is the case with judges: the problem is not one of quantity but of quality. Although there are some 180,000 judges nationwide, many are demobilized PLA [People’s Liberation Army] soldiers selected not for their intellect and judicial expertise but rather for their patriotism and their ideological correctness. At this point, fewer than half of judges have completed postsecondary degrees.” (page 248) After reading this, I was very interested in the implications for the Chinese economy (i.e., intellectual property), the status of human rights in China, and future political developments.